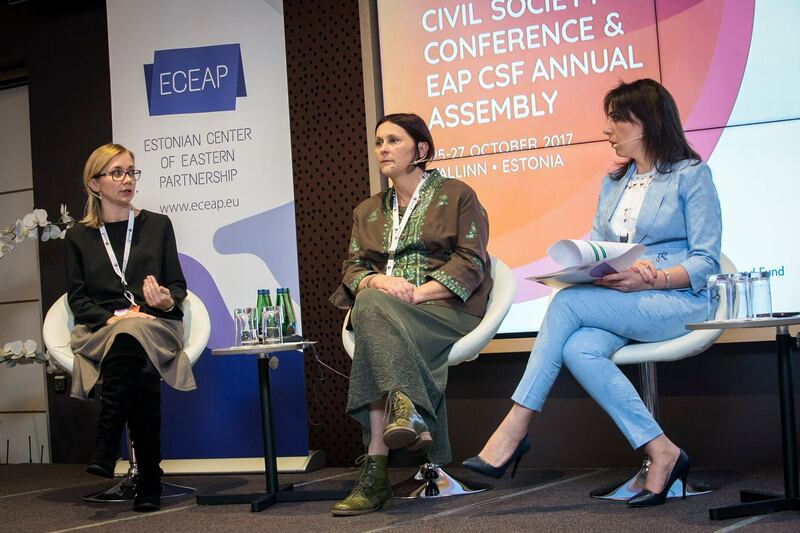 On 25-27 October Tallinn hosted the EaP Civil Society Conference and 9th EaP CSF Annual Assembly. 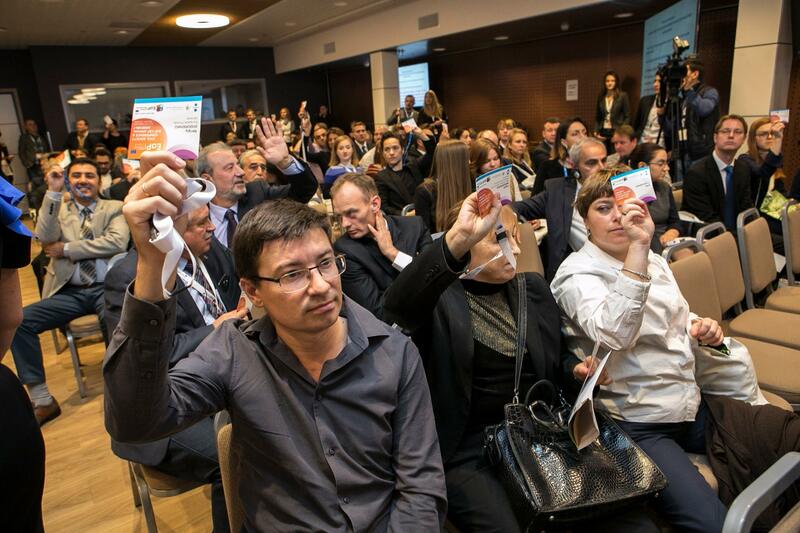 The event attracted over 300 attendees, speakers and guests who attended more than 50 sessions of different formats focusing on the issues most topical for the civil society. 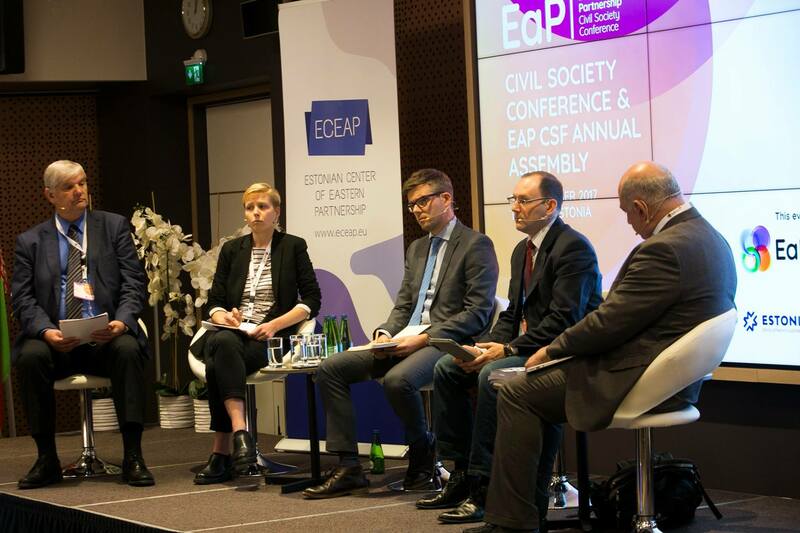 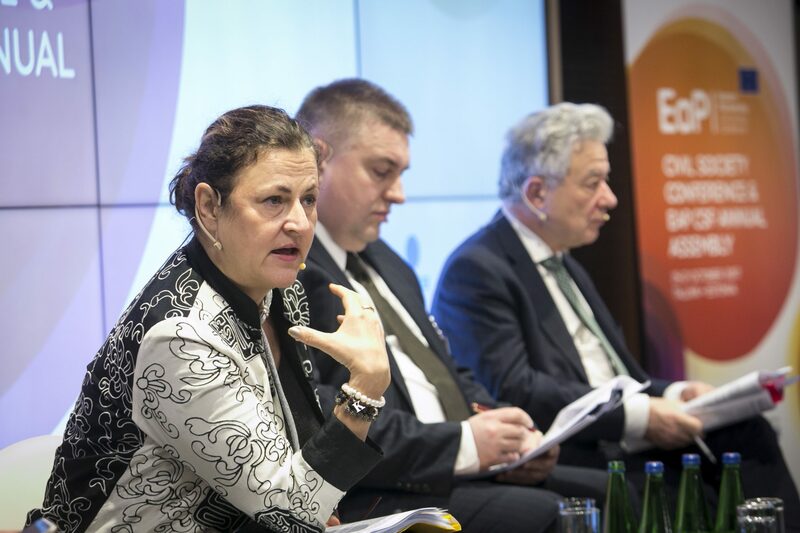 For the first time this year, the Annual Assembly and the Civil Society Conference – conducted as a side event to the Eastern Partnership Summit on a biennial basis –were merged into one event with a common agenda. 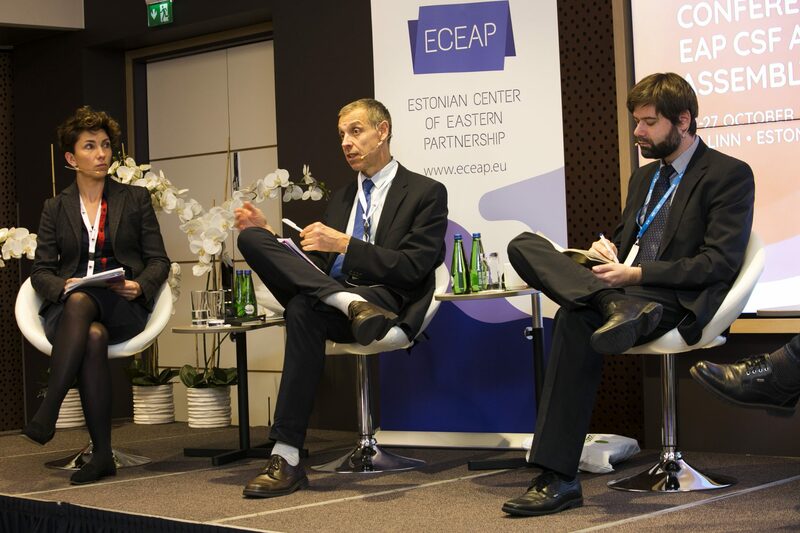 It was organised jointly by the EaP CSF and the Estonian Center of Eastern Partnership under the auspices of the Estonian Presidency of the Council of the European Union. 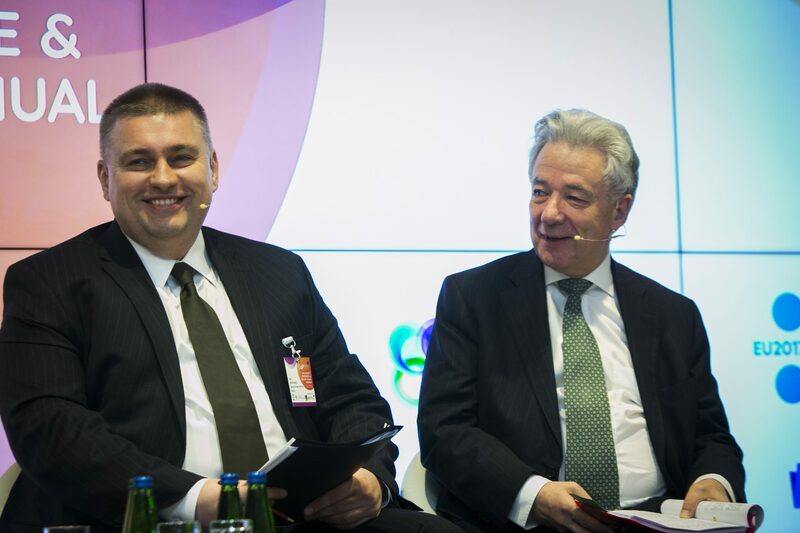 Co-Chair of the EaP CSF Steering Committee Hennadiy Maksak and Jaan Reinhold, ‎Estonia’s Ambassador-at-Large for the Eastern Partnership, opened the key EaP civil society event of the year held under the title Tangible Results for People: Envisioning the Eastern Partnership in 2020 and Beyond. 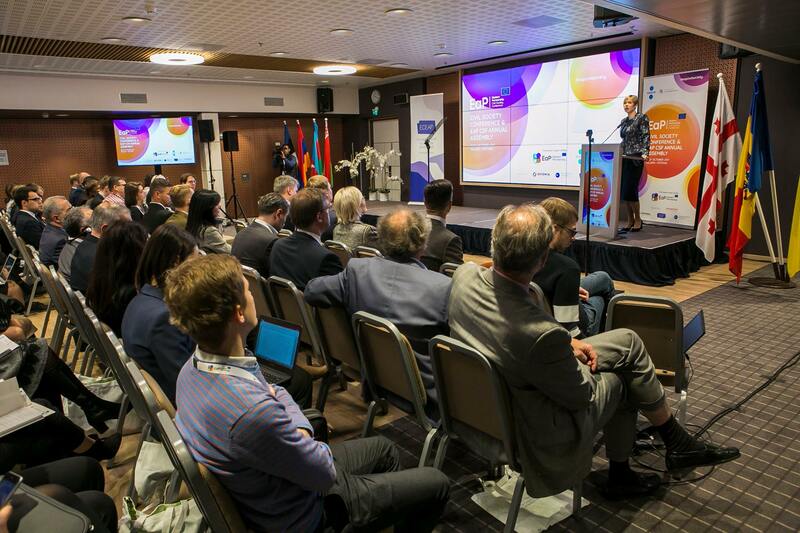 Kersti Kaljulaid, President of the Republic of Estonia, outlined the progress Estonia has achieved in working with the civil society so far. 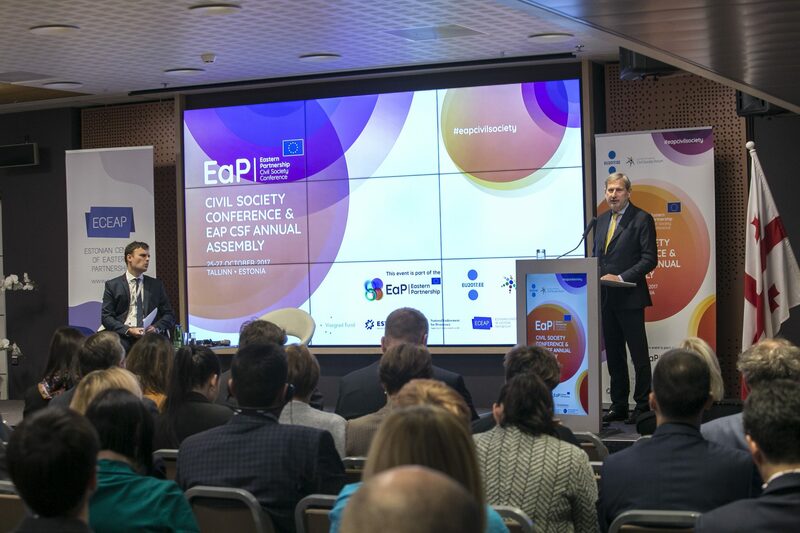 In his keynote speech Commissioner Hahn, underlined that the support to civil society is the very first deliverable in the new EC and EEAS joint working document since empowering the civil society is crucial to deliver on all of other plans and priorities. 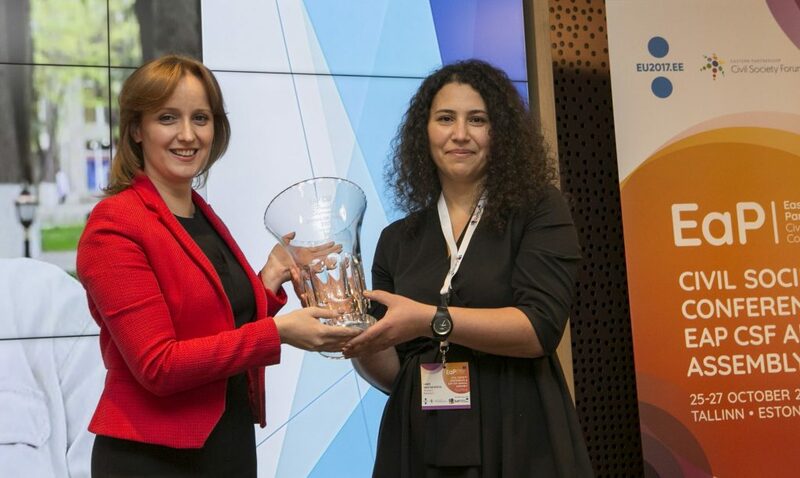 A special ceremony featured the presentation of the EaP CSF Pavel Sheremet Award 2017 to the Azerbaijani journalist Afgan Mukhtarli, in recognition for his courage and outstanding reporting on injustice and human rights abuses in Azerbaijan. 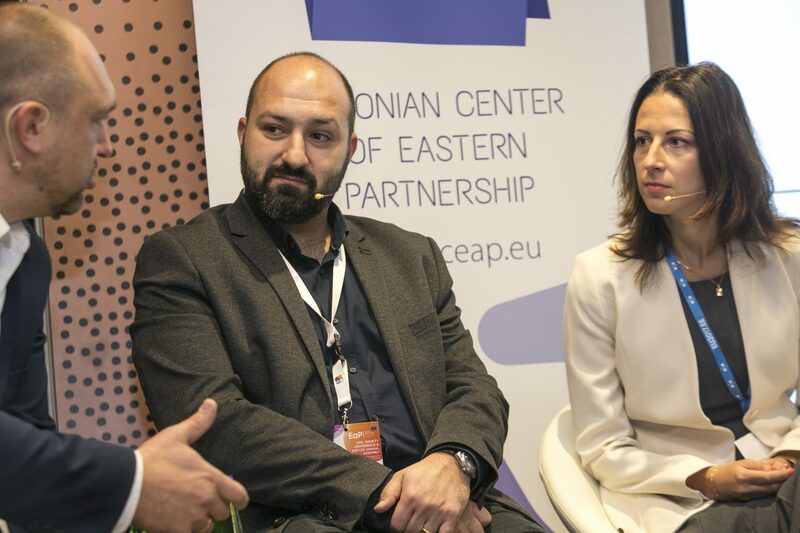 It was presented by the EaP CSF Steering Committee member Alexandra Kalatozishvili, and received by his spouse Leyla Mustafayeva who is an independent journalist herself. 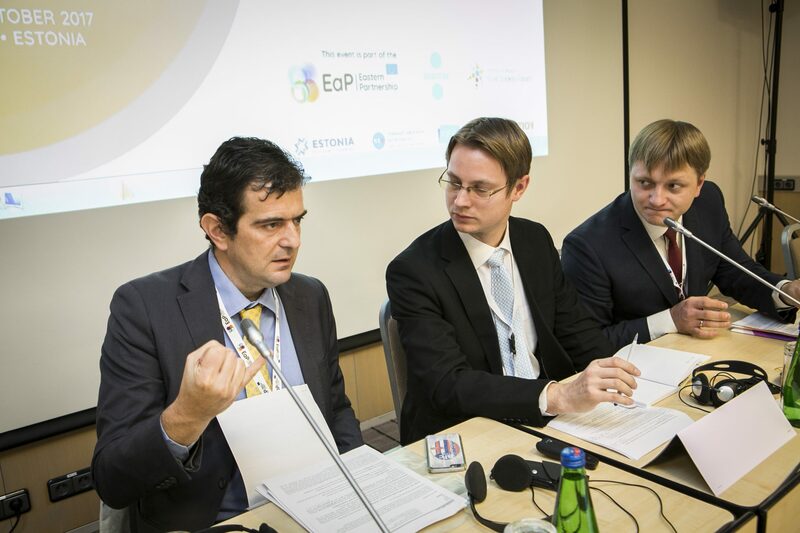 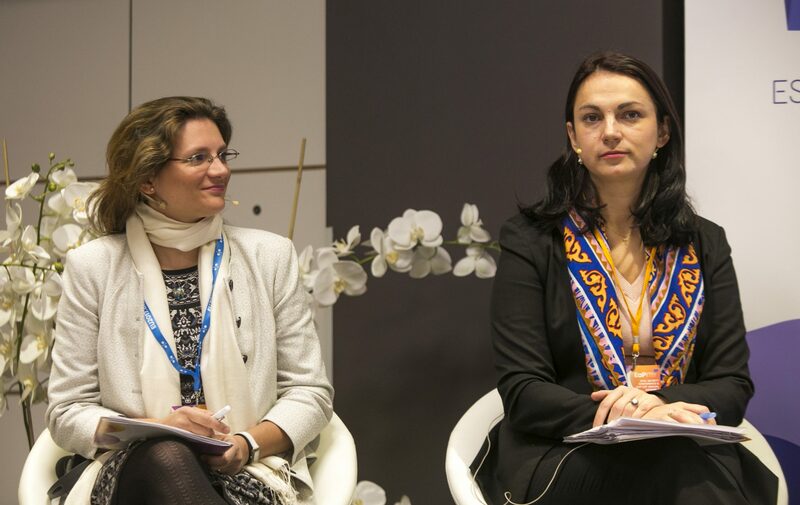 The Civil Society Declaration was adopted as a collaborative effort identifying major obstacles to further democratic development within the EaP countries and to the smooth implementation of the 2020 Deliverables while offering specific recommendations on how governments and civil society organisations can work together to overcome them. 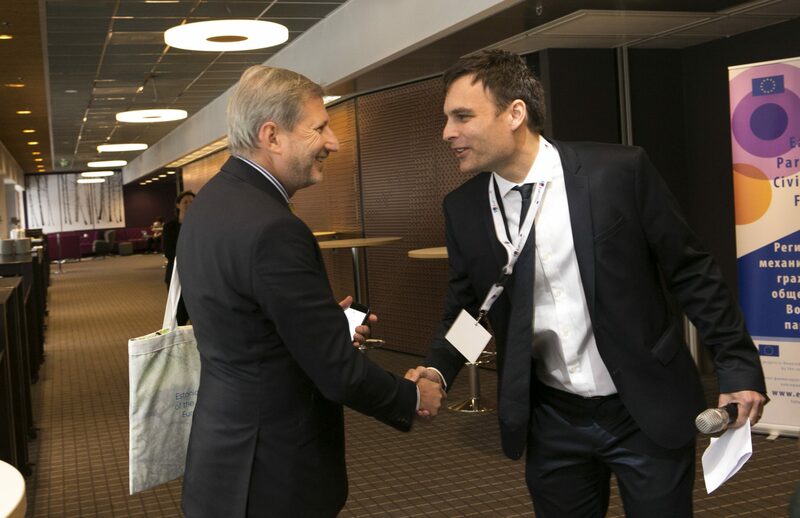 It was presented to the Commissioner Hahn as the consolidated civil society position for the Brussels Summit. 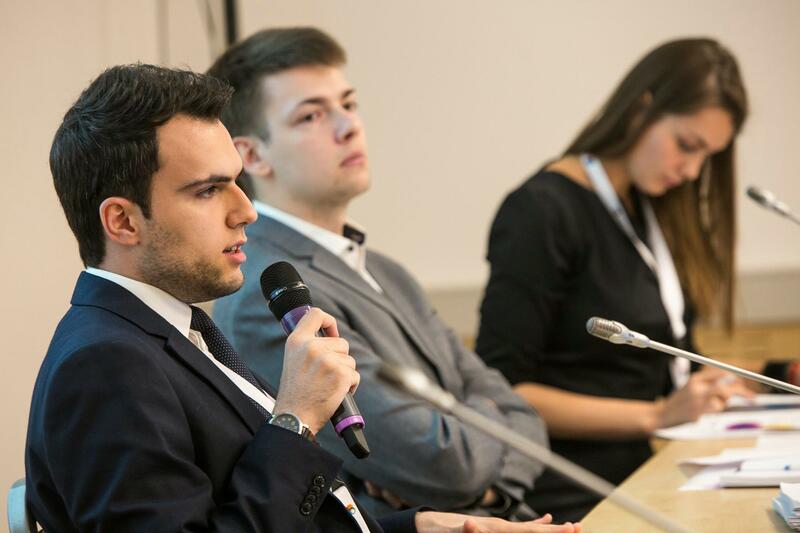 Throughout the parallel panels the attendees debated on topics related to the civil society priorities such as regional and economic integration, media and disinformation, digital tools for democratic governance, and government-civil society relations. 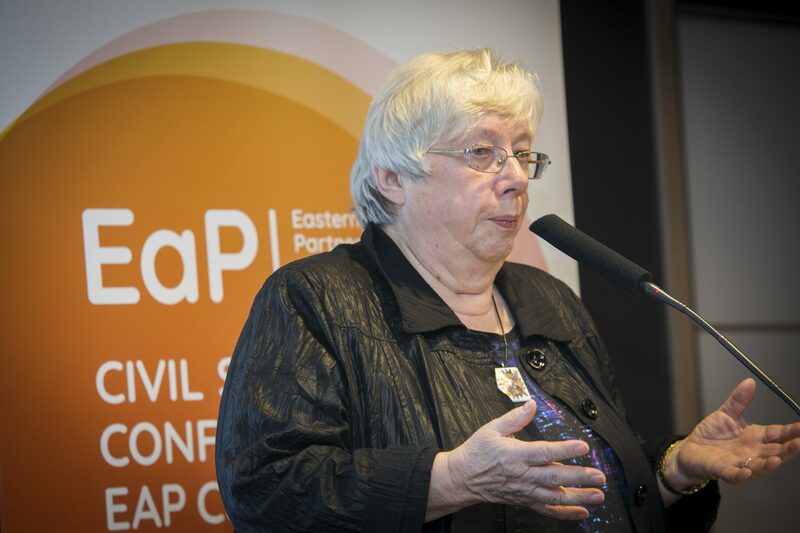 The event included a special ceremony dedicated to awarding the three best EaP CSF re-granting projects. 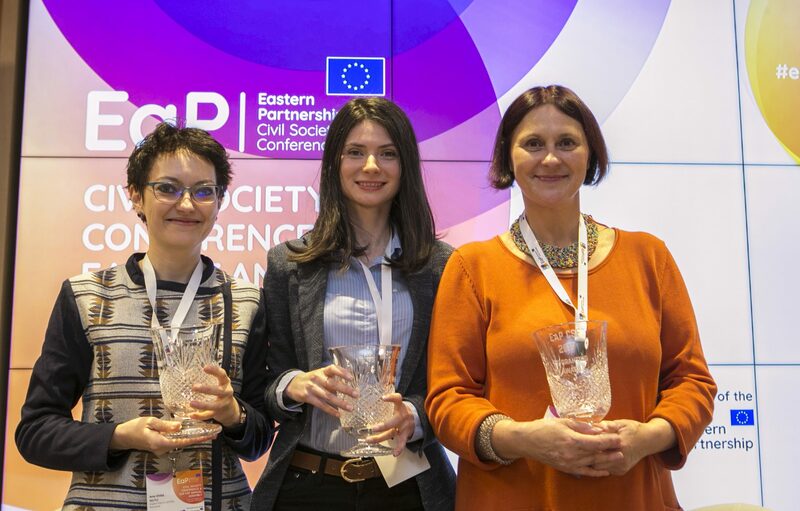 The winners have been implementing projects on gender mainstreaming, smart waste management and monitoring energy regulators over the period of 7 months. 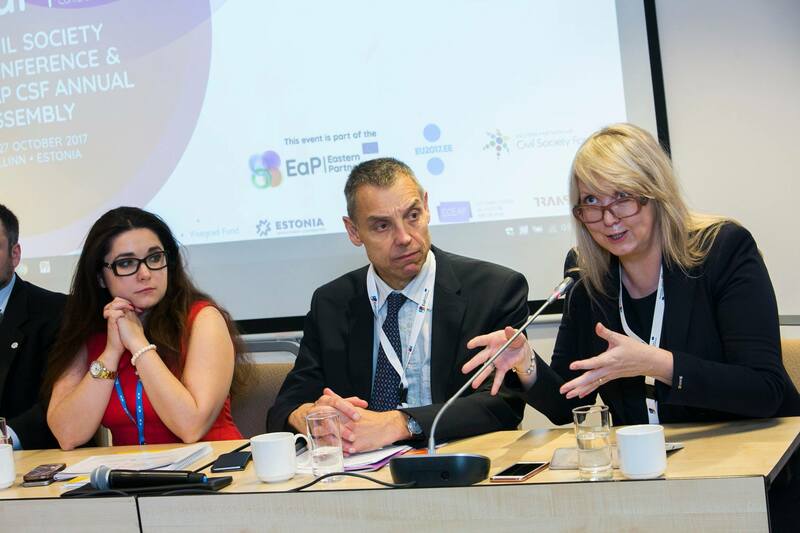 A variety of projects and publications by the EaP CSF members were presented during the event, including 15 re-granting projects funded this year. 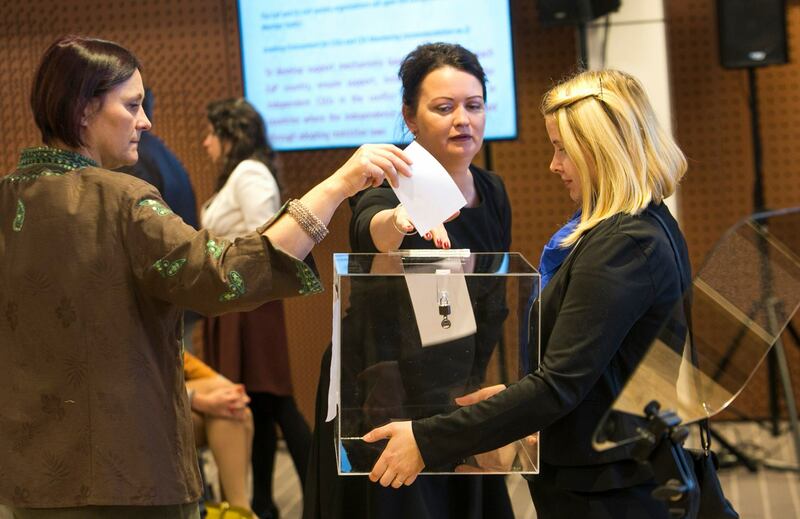 During the stakeholders’ meetings with a multi-country or country-specific focus civil society delivered their messages on selected topics of their interest to the policy makers. 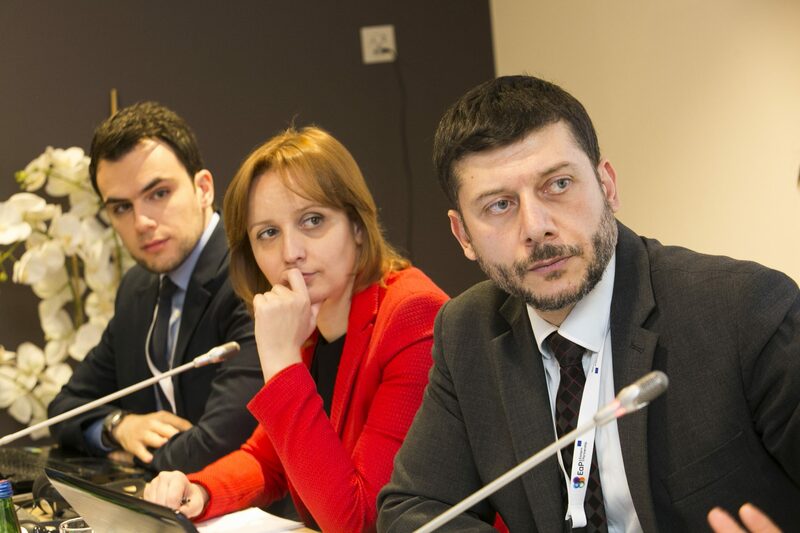 Working Groups’ initiated debates focused on rule of law and resilience, favourable environment for SMEs, implementation of the Action Plan for the Environment, youth employment and entrepreneurship. 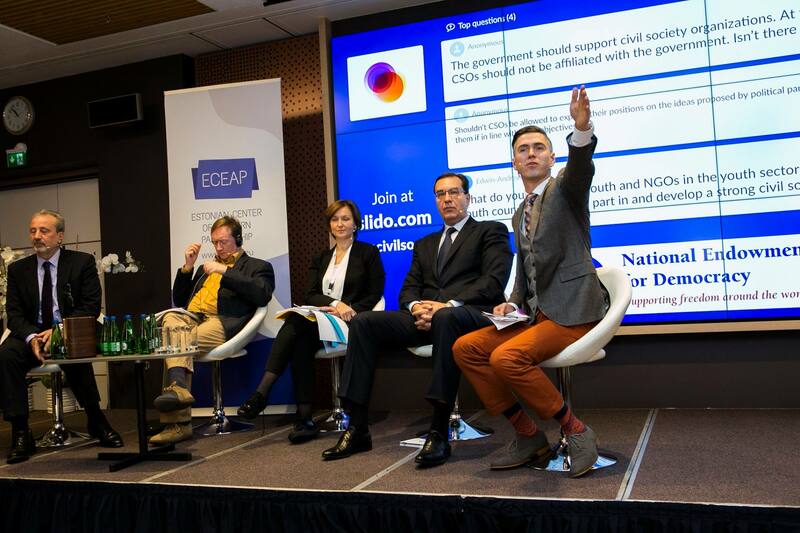 National Platforms’ initiated debates explored civil society’s role in the implementation of the EU-Armenia partnership agreement (CEPA), negotiations on the new EU-Azerbaijan agreement, EU-Belarus partnership priorities, constitutional reform in Georgia, implementation of the reforms in Moldova, and Ukrainian perspective on the 20 Deliverables for 2020. 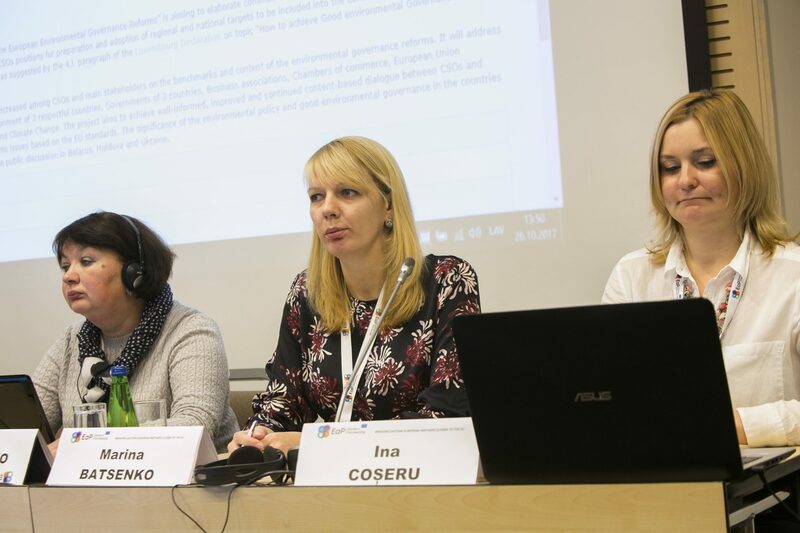 Working Groups (WGs) meetings focused on the results of the work in 2017 were presented and developing the Annual Work Plans for 2018. 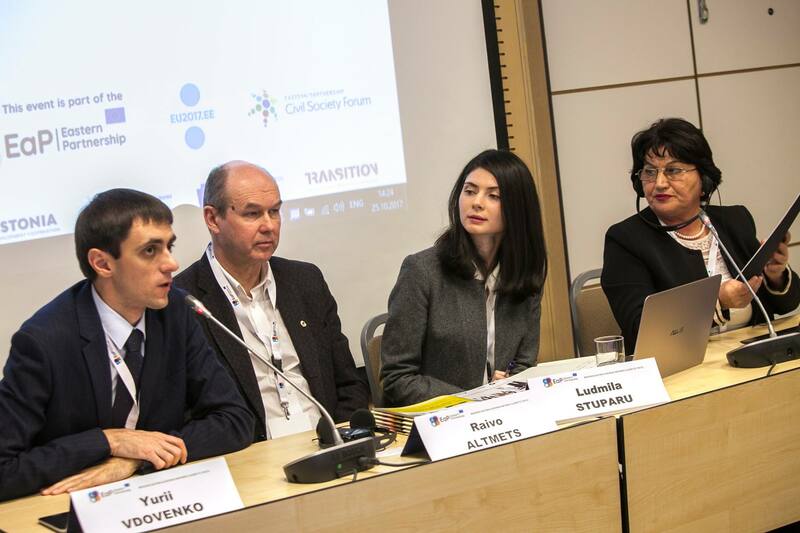 The recommendations produced during the event will be used in civil society advocacy based on the priorities of the Forum in the coming year. 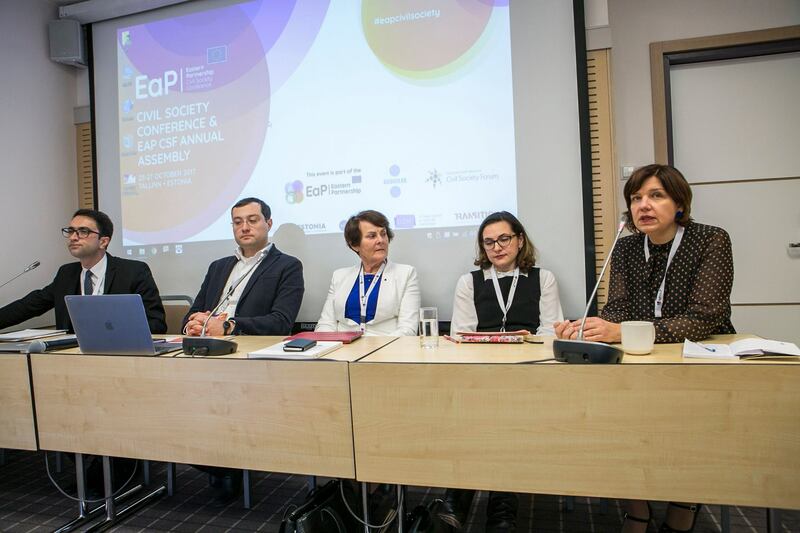 The delegates elected the new EaP CSF Steering Committee 2017-2018 with a mandate from civil society of the EaP countries and EU member states to serve as the governing board of the Forum for a one-year term.